Meet the Glam Master, Argenis Pinal! Lifetime’s Glam Masters is the ultimate test of one’s beauty skills. Contestants are put through a series of difficult makeup challenges that push their limits beyond anything they could have ever imagined. Plus, they only have one hour to create each look before presenting it to a star-studded panel of judges: Laverne Cox, Kandee Johnson,Mario Dedivanovic (“Makeup by Mario”), and Zanna Roberts Rassi. In the end, it was Argenis Pinal who emerged victorious. 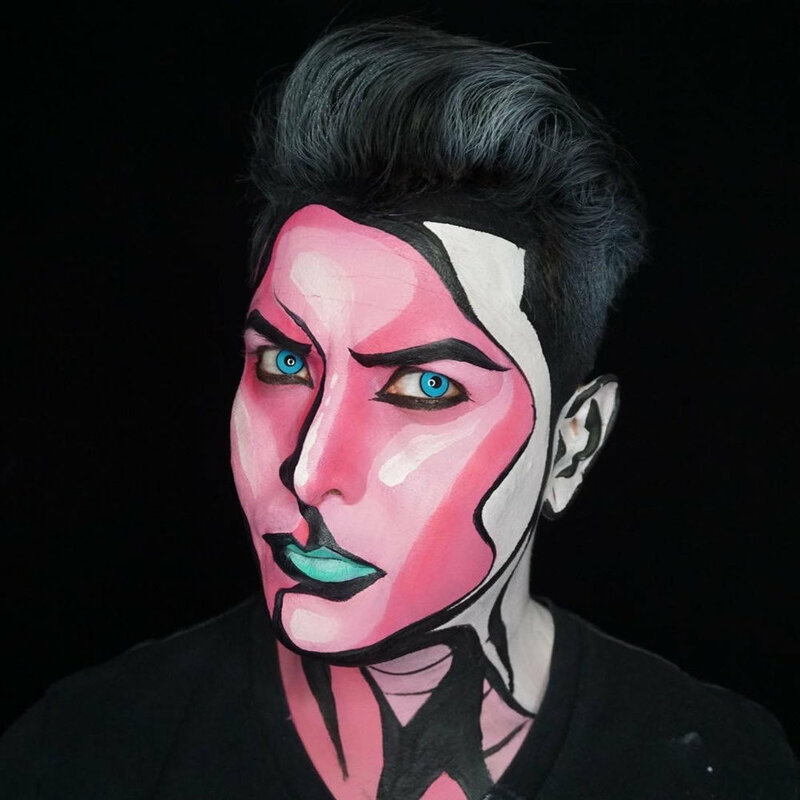 Pinal has had a passion for the arts ever since he was a teenager, when he enjoyed drawing and painting at Paul Mitchell The School, Temecula. 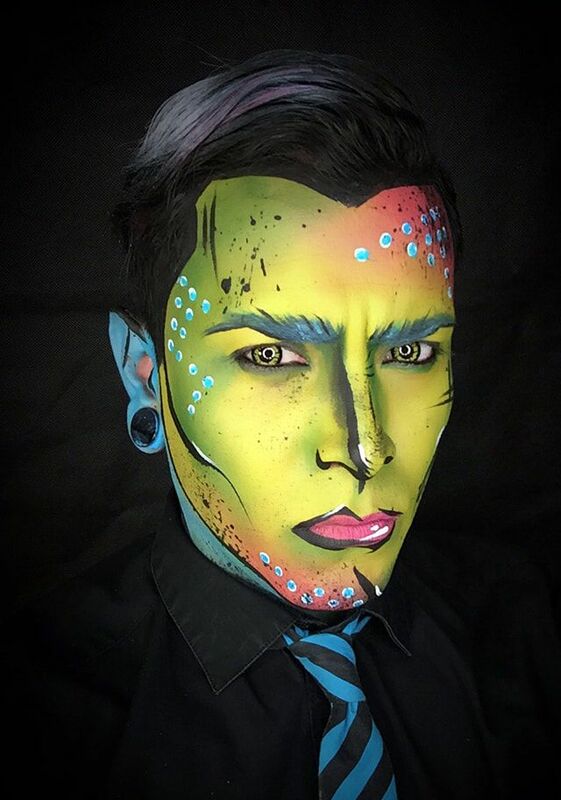 After graduating, he continued to perfect his craft and eventually became a makeup specialist for that school, as well as a makeup specialist for major companies, including MAC Cosmetics. Pinal even worked with Sprint, where he showcased his face painting skills in a national commercial. 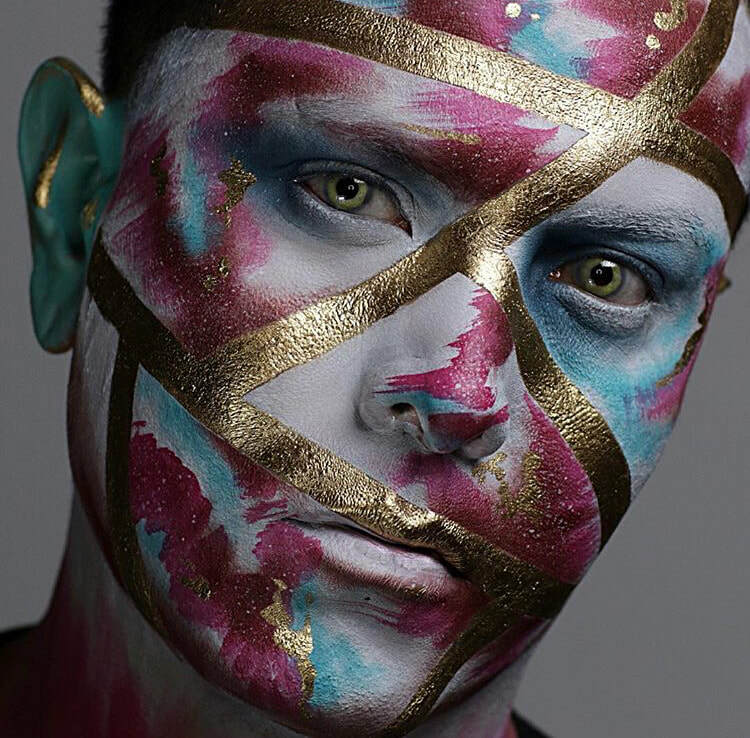 Ever since he won Glam Masters, his work has been featured in broadcasts by Fox 5 San Diego and CW6 San Diego, and he has been highlighted in media outlets such as Makeup Artist Magazine, Cosmopolitan, BuzzFeed, and MTV. Additionally, Pinal had the opportunity to collaborate with Kim Kardashian West on an exclusive collection of crème color sticks for KKW Beauty. 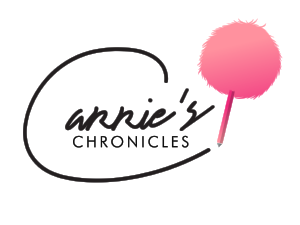 In an exclusive interview with Carrie’s Chronicles, Pinal spills how he became a makeup master and why Glam Masters changed his life forever. How did you first get into doing makeup? As a kid, I was always very artistic. I loved drawing black and white portraits of women, and I think that was when my fascination for female beauty began. I would contour and highlight my artwork and loved doing the brows--that was my favorite part. Growing up, I lived with a niece of mine, and it was so interesting to watch her apply makeup. I always wanted to help her somehow. LOL...of course she never let me back then, but now she loves it when I do. How did you perfect your craft? As an artist, I think it’s important to always evolve and be able to grow and master all sides to your craft. I hold a Cosmetology License because I wanted to be a licensed professional and not only offer makeup to my clients, but also hair services. Now, I not only just do beauty makeup but I also do face paint and body paint, something I started practicing in late 2014. Doing that has, for sure, made me a better artist because I’ve gained so much knowledge about products, as well as artistry skills. I can say today that I have three solid years of experience in body/face painting and thirteen years in beauty makeup. What about makeup is so special to you? You know, it’s hard to find the right words for the meaning of “special,” except that makeup is simply something that I love doing. I love everything about makeup, from the colors in eyeshadows to the textures and beauty of the different looks I create. The beauty lies in the variety of unique face shapes I get to work with--every look is different on every person. Why did you initially decide to try out for Glam Masters? I decided to try out for the show because I really felt like it was the perfect fit for me. I heard that the series involved doing glam looks, as well using products in creative ways. I always love stepping out of the box, so overall, I knew it was going to be a lot of fun and a life-changing experience, no matter what. My winning challenge. In the beginning, I was not creating a look that spoke to who I was as an artist, so I wiped it off and started over with little time left. Thankfully, I got inspired by doing something abstract and that vision came to life. How about the hardest challenge? The one where we had to do optical illusion makeup. I had a great concept, but I drifted a bit from the judges’ advice, and it just went south from there. I still got high praise for it, though, so that was good! How did it feel to become the “Glam Master”? It felt sooooo good, and I was very proud of my hard work. There were so many times during the show where I felt like I could have gone home because it was hard to know what the judges really wanted to see. But after hearing my name called as the winner, I just felt like it was dream come true. I was literally on cloud nine for three days after that. As a prize, you even got to collaborate with Kim Kardashian West on making crème color sticks for KKW Beauty. What was that like? Working with Kim was the best experience ever. She is such a genuine, nice person, not to mention, a total boss. She knows business really well, and it was so amazing to hear her give me direction. We both were very involved in the process of creating the crème color sticks. I was able to pick out my own colors and names for the products, which was really exciting. What is your favorite beauty product to use? I don’t really have a favorite because you need so many to be able to do it all. To me, the products are not as important as the brushes. Each brush serves a purpose; you can use the smallest pencil, like the blending brush, or the boldest one on the eyes to get the effect you want. What is your number one makeup application tip? Matching foundation to one’s skin. I believe it all starts with that because it’s what makes the skin look great. You can shop the KKW X Argenis Creme Color Sticks here.